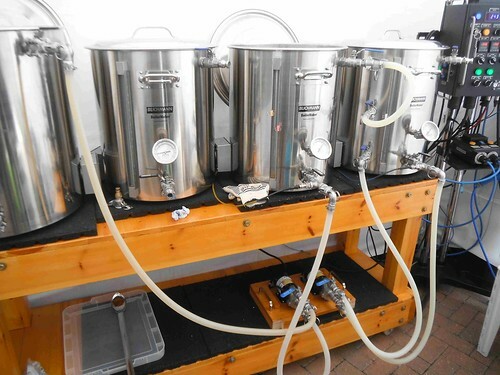 Hi, after 6 long months I finally got the time in Dec and Jan to get the brewery done at least in basic format. Anyway, just something I noticed and wanted to check on. 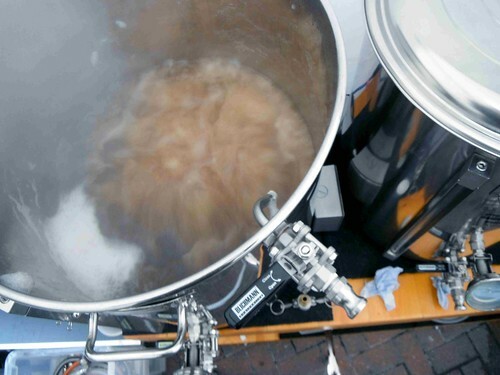 I believe that is so you can check gravity while sparging. I added a whirlpool inlet on my kettle. I use that to fill up. The longer 6 foot hose directing wort into the Boil Kettle is simply placed over the side so that we can see the flow rate and to make it easier to take samples for pH and gravity measurements. Can't do this if you feed in through a valve. I must admit, I didn't like the idea of a dangling hose either - too easy for it to be pulled out and squirt hot wort everywhere. So I fitted a valve on the entry to my boiler. You can easily take wort samples from the kettle inlet tube and readily see how the flow is going. I must admit, I didn't like the idea of a dangling hose either - too easy for it to be pulled out and squirt hot wort everywhere. It's funny, but it's never happened to me in the 10+ years I've been using the setup. This is one of the reasons I purposely used a two part QD on the ends of my hoses (to make them heavier). Yeah this is likely gonna happen for me. I don't like the idea of draping hoses anymore now that I have this setup. @Kal, thanks for the explanation, I knew there must be a reason Re: the disconnects, that was definitely the way to go. I did the 2 part as well, it makes a BIG difference. I tried one with 1 part and it's too hard to handle / not solid enough. No problem! I found the same as you so went with 2 pieces.